This page details a prototype of the Donkey Kong Country Competition Cart. Unfortunately, it does not work. Thanks to BeaglePuss for the ROM images. Also thanks to the forum members at Lost Levels and DKC Atlas for information leading to the discovery of what this prototype actually is. Nothing is more exciting that the prospect of receiving a first party Nintendo prototype. 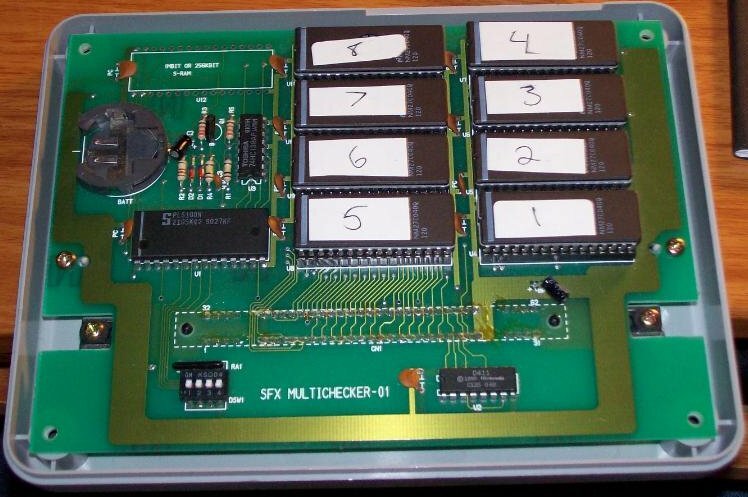 BeaglePuss sent this prototype of Donkey Kong Country to me with the hopes of getting it to work (apparently it was sold as a "homebrew tool", with no presumption that there was a working game on it). 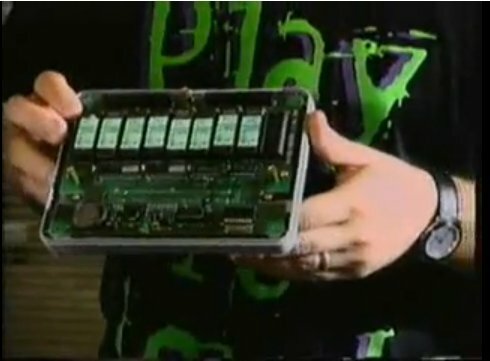 The prototype is on a board similar to the one shown in the Donkey Kong Country Exposed promo video (see about four minutes in). This particular one is slightly different, with two rows of four chips, rather than the eight in a row shown on the video. Apparently the prototype was hard wired to a hacked SNES. After my initial article was published, several people from the DKC Atlas and Lost Levels forums pointed out that this was actually a prototype of the Donkey Kong Country Competition Cart, rather than the regular Donkey Kong Country. I'm not including a combined binary of the game with this article, simply the original individual ROM images in the order they were on the board when it was acquired (if you must combine it, I suggest using NSRT). Unfortunately, the dump is corrupt. I analyzed the ROM images, and by comparing with the final version, I figured out the correct ordering of the chips is 1,8,2,3,4,5,6,7. I gave this to d4s, and he suspected the suspected there was problems with the sixth chip. As figured out by the people at DKC Atlas, if you replace the sixth chip binary with the equivalent data from the final version of the DKC CC, you get a playable game. However, even then the game is glitchy as hell. 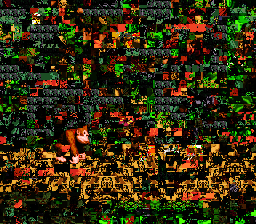 I compared the two ROM images, and I found random chunks of 5120 bytes that are obviously missing/added from the prototype version, meaning that probably every single ROM chip has a certain amount of corruption. The game crashes if you go into a bonus room, but I was able to play to the second level (Reptile Rumble). 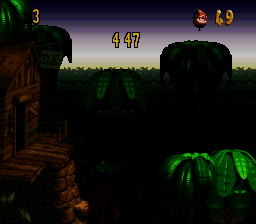 These tiles appear in both the prototype and the final version of the DKC CC. They are from Super Metroid, perhaps indicating that the two games shared code (if you want to see for yourself, the graphics appear around 0x15E400 in Super Metroid). I included the original files below. Note that even if the prototype is dumped properly, there will be some minor differences from the final Donkey Kong Country! At the very least, the checksum in the internal header is different from the final version, which I doubt could be attributed to a bad dump. As for the origin, my guess is that this was used in the Powerfest 94 finals. This would make sense, because this prototype is not likely the final version of the Competition Cart. The Powerfest 94 finals happened about a week before the initial release of Donkey Kong Country, and the timed version of the game was used in the finals of the Powerfest competition.